Economic growth must be our top priority. Ten people per week move out of Warren and have done so for decades now. We need to find ways to grow. I have previously outlined several things we can do to get things moving in the right direction through organic growth. You can read about them by following this link; (in particular see, Plan for Trumbull County and Warren Target Markets). We also need to pursue a few larger redevelopment projects such as revitalizing Youngstown Road as a commercial corridor, and creating the Westlawn Industrial Zone on the west side. 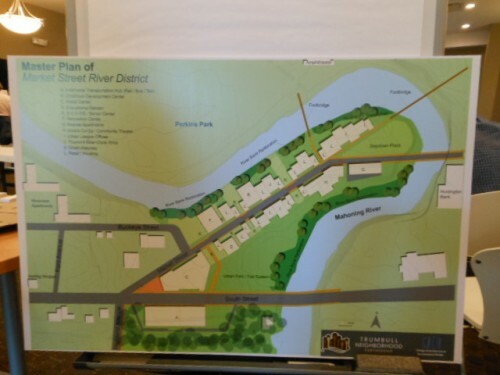 The third leg of that strategy is to do the underlying work for development of the Peninsula, the area immediately west of the Market Street bridge where the Mahoning River bends back on itself to give the area its name. I’ve written about this area before. It could provide a tremendous economic boost if we do the right things. The city has control of much of this property through WRAP, although it missed a big opportunity last week by failing to bid on the Reeves Apartment building (below) in the Sheriff’s sale at which it sold for just $85,000. We’ve been hearing for several years that the area has to be rezoned and a marketing study must be conducted, but, of course, none of those things have even been started. We need to do those things and a few more administrative tasks, and then begin shopping the area to developers. This is not something the city is going to undertake directly. 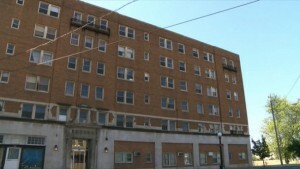 The cost of a full redevelopment would easily exceed $10 million. But we can make this an appealing possibility for private investors — and that is something I will do as your Mayor. Posted Wednesday, October 7th, 2015 under Economic development.